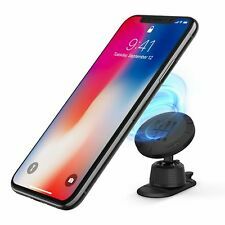 Magnetic Car Cell Phone Holder Mount Dash 360° Rotates for iPhone, Samsung, LG..
From music to GPS systems, smartphones are an essential part of daily life. 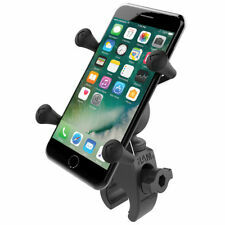 It is important to get smartphone mounts to hold your devices in place while you drive. These products help to reduce distractions when you are on the road. 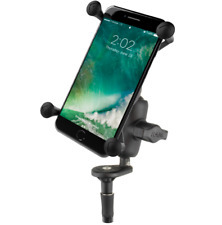 What are the different types of mobile phone mount holders? Vent mounts - These clip onto the car's air vents. 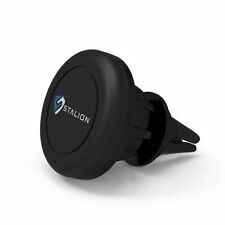 Most vent mounts are made with a swivel ball that allows the cell phone to be manipulated to different positions. Many vent mounts will allow you to use your phone in either landscape mode or portrait mode. 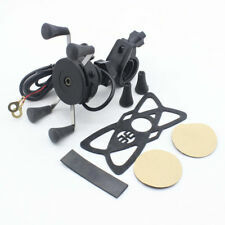 Dashboard mounts - These mounts have two parts. One is the disk used for mounting. This disk has a glass surface at the top and non-skid materials at the bottom. The other part is the phone holder. This part is equipped with a suction cup that is attached to the disk. 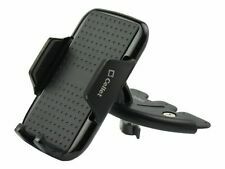 Some dashboard mounts are made with designs that help you position the phone. Other designs have suction cups that can be attached straight to the dashboard. You can also get mounts that use adhesive stickers instead of suction cups. Cigarette lighter mounts - This type of mount is plugged into the lighter port and has a flexible gooseneck that allows it to bend. Cigarette lighter mounts are good options for cars that have small vents. 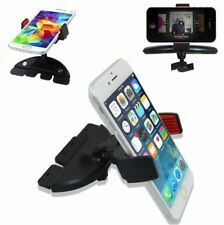 Windshield mounts - These have phone cups that are attached to the windshield of the car. The holders have vacuum levers that use suction to attach firmly to the glass. Windshield mounts can be adjusted to different positions depending on the model of gooseneck. Some of these mounts are designed with cups to attach to the glass. Screw fix mounts - This type of mount has to be screwed into place on the car, and as a result, it is highly secure. You will need a professional to install a screw fix mount. What are the different features of phone holders? Phone charger - This allows you to charge your phone while driving. USB connector - You can use this to charge your phone or connect other devices to your car. Audio jack - This enables you to play music from your phone. Swivel tilt - This allows you to move your phone in the direction you desire. What factors should you consider when choosing a smartphone mount? The mounting location of your phone- Will it be placed on your dashboard, air vents or elsewhere?